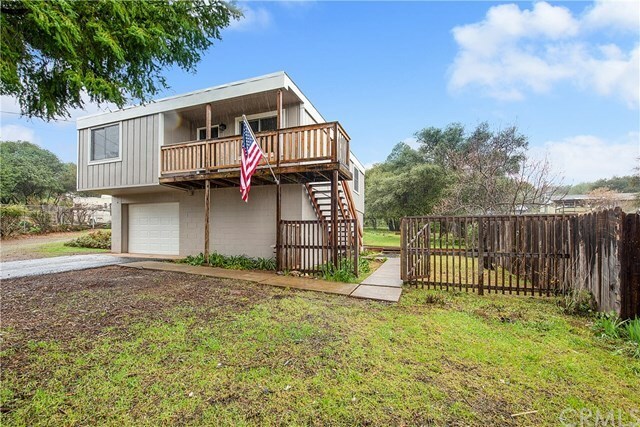 Beautiful remodeled home located in Clearlake Riviera - Kelseyville! This 3 bedroom, 2 bathroom home has had a complete make-over and is ready to go! Set back from street, offering a private feel, with fenced back yard ideal for gardening. New features include: paint (inside and out), laminate flooring and carpet, stainless appliances in kitchen, kitchen countertops, high-efficiency mini-split heating and cooling system and vinyl windows. Main level of home has a great open floor plan. Master bedroom offers it's own covered deck and master bathroom shines like new! Additional guest bedroom and bathroom complete the main level. You will find the 3rd bedroom on the lower level, complete with own entrance, ideal for an office! Spacious attached garage, with laundry hook ups, and additional space for storage or workshop area. Long driveway and additional potential parking space right above the street. If you are in search of a move-in ready home, make sure you put this on your list!